Susan Woods is a nonprofit consultant who helps people start, fund, manage, and sustain 501(c)(3) nonprofit organizations. A hair mask that provides express moisture and shine in only THREE minutes! It’s perfect for all hair textures and it’s extra conditioning effects gives your hair volume and hydration! Add this awesome treatment to your next service for on $15! It’s prom season with wedding season to follow! Whatever the occasion, Persimmon Salon is your hair headquarters! I’ve trained with one of the best editorial stylists in the industry (Jon Reyman http://jonreyman.com/editorial/) From the classic french roll and chignons to dragon tail braids and messy buns, I’m excited to design a hairstyle to compliment your special day! Gift cards make the perfect gift! You’re just a click away from making someone’s day! HOW TO FIND PERSIMMON SALON : Blakeney Shopping Center is at the intersection of Rea Road and Ardrey Kell Road. Sola Salons are in the small shop section above White House Black Market next door to My Gym and Enlighten Yoga and across the street from Chopt. Sola is on the second level. Please take the stairs or elevator to the main entrance. There is no reception area, you simply walk in, continue straight or make a right. The layout is U shaped. 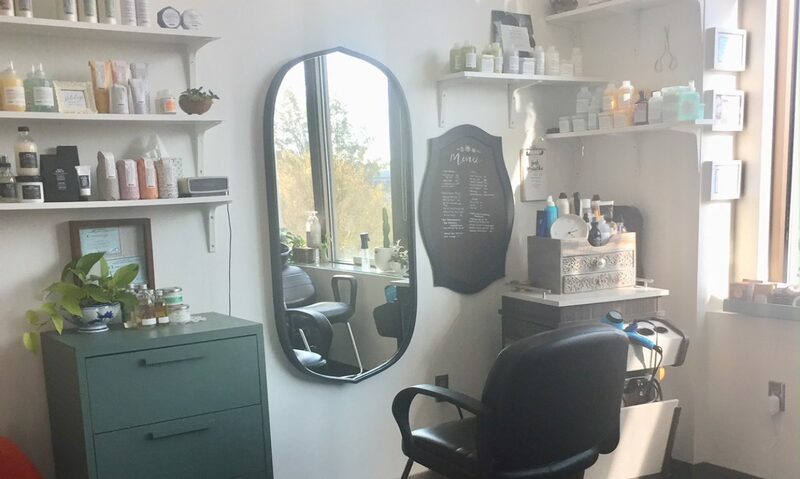 You will find Persimmon Salon in the middle of the U at suite 107!